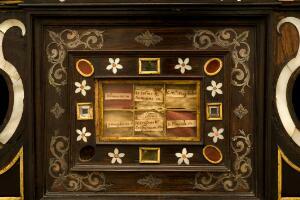 Elaborately carved and inlaid wooden reliquary chest containing relics of several saints, Spanish (?) 18th century. Detail o relics.